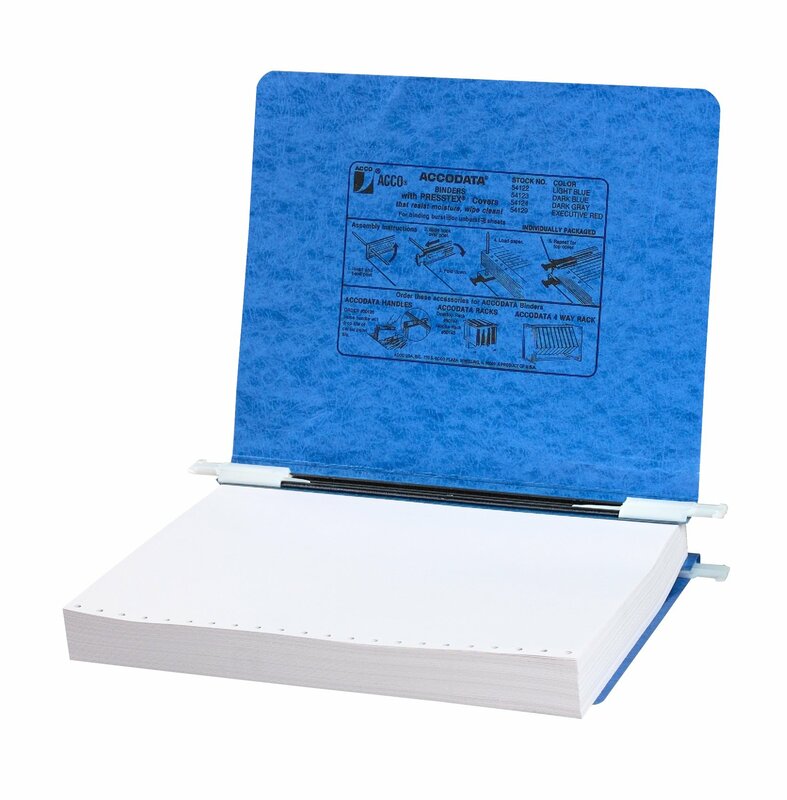 Home › Acco Pressboard Hanging Data Binder 8.5 X 11 Inches Unburst Sheets Light Blue..
Acco Pressboard Hanging Data Binder 8.5 X 11 Inches Unburst Sheets Light Blue..
Color: Light Blue These ACCO Hanging Data Binders with PRESSTEX Covers offer an expandablestorage option for your important documents and reports. PRESSTEX Data Bindersoffer both top and bottom loading and are expandable up to 6 Inches forvarious sized projects. They have retractable storage hooks for single pointor drop file hanging systems and adjustable flexible nylon posts that allowmaximum capacity with minimum storage space. Plus, the embossed PRESSTEXacrylic-coated pressboard cover resists moisture and scuff marks and contains10 percent post consumer recycled content. ACCO combines quality, style andinnovation to become your total resource for accounting and storage supplies.